Anonymous writes "A discussion of what stereotypes and truths about being Biker Babes"
OMRO, Wis. — The candy-apple red Mustang GT is just a toy, but that didn't stop 3-year-old Jordan Will from taking his battery-operated wheels for a brief ride along a busy stretch of highway. Drivers stopped and neighbors chased down the car until an officer could pull over Jordan and his 2-year-old passenger on Sunday. Anonymous writes "Race Shop is thrilled to announce it is the Presenting Sponsor of the 2008 Daytona Bike Week Sweepstakes. " Ed and Vern (Veronica) moved to Southern California from Pittsburgh, Pennsylvania after WWII. They stumbled across this building, made entirely out of volcanic rock, which had been a stagecoach in the 1910's. They purchased this "Rock Store", in 1961, and created a small town grocery store out of it. As the years rolled by, many changes were taking place in this town of Cornell, CA. Cornell started growing in population, which forced the development of major roadways connecting Mulholland Highway to the Pacific Coast. As people started flocking to this area, more and more people started taking notice of this small town store. Not only were carloads of people stopping by for cold refreshments, but motorcyclists began pouring in from all directions. They were drawn to the windy canyon roads, and of course the opportunity to really test out their riding skills. 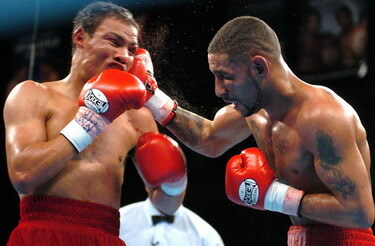 LAS VEGAS (AP) - Boxer Diego ``Chico' Corrales was riding drunk at more than three times the legal limit when he crashed his motorcycle and died, police said. "It's quite possible that had he not been impaired, he could have prevented his accident,' Las Vegas police Sgt. Tracy McDonald said after toxicology tests showed Corrales' blood-alcohol content was 0.25 percent. The legal limit for drivers in Nevada is 0.08 percent. On behalf of the citizens of Georgia, Governor Sonny Perdue proclaimed February 6, 2007 as ?Wild Hogs Motorcycle Safety Awareness Day? in Georgia to coincide with the release of a new motorcycling road-trip comedy film starring Tim Allen, John Travolta, Martin Lawrence and William H Macy. The Governor welcomed the cast of the movie to a motorcycle safety news conference on the steps of the State Capitol Tuesday, February 6th. made any effort to issue me another helmet ticket. CLICK read more..
LOS ANGELES -- The biker buddy comedy "Wild Hogs" and its ensemble cast of John Travolta, Martin Lawrence, William H. Macy and Tim Allen was the weekend box office leader with a $38 million take home, according to studio estimates on Sunday. It was Walt Disney's biggest March opening in history. It was also the largest-ever debut for the 53-year-old Travolta as well as the best non-animated movie debut for Allen, who is also 53. Macy turns 57 next week and Lawrence turns 42 next month. The 1098 is the most powerful twin-cylinder motorcycle in the world with the highest torque-to-weight ratio of any sport bike. The 1098 is the lightest, fastest stopping, quickest lapping Ducati in history. For the first time Ducati MotoGP and World Superbike technology have been combined to create a premier street bike. The results are stunning. Click READ MORE..
CHARLOTTE -- Police seized more than a dozen cars in a drag racing bust over the weekend. It was carried out as part of a joint operation between the Charlotte-Mecklenburg Police Department, the State Highway Patrol and the Department of Motor Vehicles. Select Page 1 2 3 4 5 6 7 8 9 10 11 12 13 14 15 16 17 18 19 20 21 22 23 24 25 26 27 28 29 30 31 32 33 34 35 36 37 38 39 40 41 42 43 44 45 46 47 48 49 50 51 52 53 54 55 56 57 58 59 60 61 62 63 64 65 66 67 68 69 70 71 72 73 74 75 76 77 78 79 80 81 82 83 84 85 86 87 88 89 90 91 92 93 94 95 96 97 98 99 100 101 102 103 104 105 106 107 108 109 110 111 112 113 114 115 116 117 118 119 120 121 122 123 124 125 126 127 128 129 130 131 132 133 134 135 136 137 138 139 140 141 142 143 144 145 146 147 148 149 150 151 152 153 154 155 156 157 158 of 158 pages.